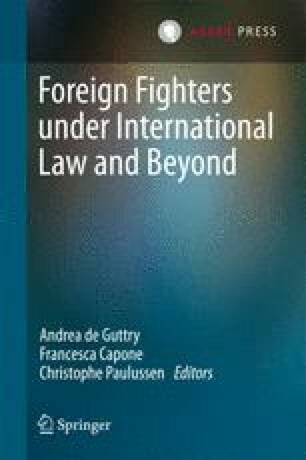 The so-called ‘foreign fighters’ are the most controversial example of the increasing relevance of transnational actors in global politics and contemporary warfare. The border between domestic and international security is becoming blurred due to the potential adverse impacts of these fighters, mainly in terms of consequences related to their experience on the ground (blowback effects, terrorist attacks, radical propaganda, etc.). Despite a mounting interest in this issue, scarce attention has been devoted to the mechanisms through which these foreign fighters are trained and, above all, the ways in which they spread military innovation and adapt across conflicts and crises. Looking at the case study of ISIL (Islamic State of Iraq and the Levant), this chapter will investigate the patterns of the military involvement on the battlefield of foreign fighters as well as their role in the process of elaboration and diffusion of approaches, tactics and lessons learnt. The author is Assistant Professor at the University of Genoa.